The Design Centre commissioned a witty take on Yves Saint Laurent’s famous Majorelle Garden to support Chelsea Fringe. One of the greatest names in fashion history, Yves discovered it during his first visit to Marrakech, later commenting that he was ‘seduced by the oasis where colours used by Matisse were mixed with nature’. 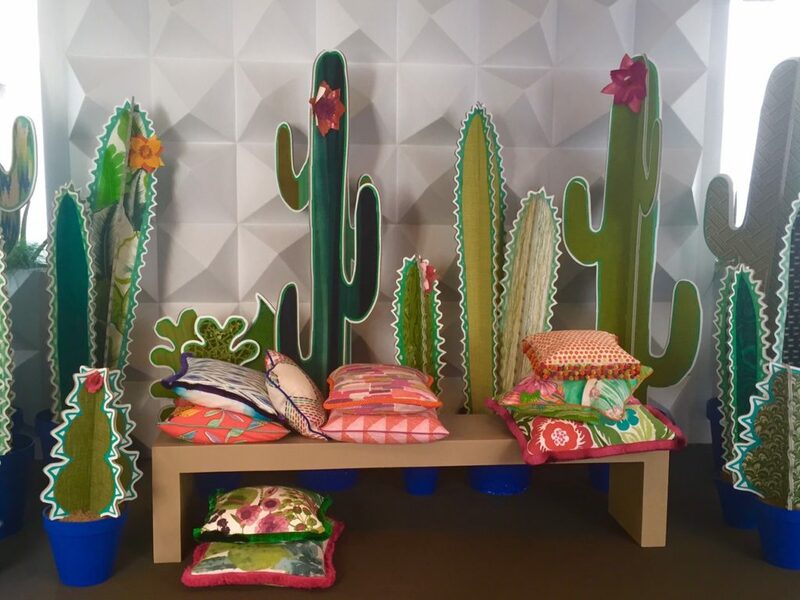 The pop-up featured over-scaled cacti, succulents and desert plants, complemented by pots in the famous Majorelle blue and cushions in a hot colour palette. The fifth edition of Chelsea Fringe – the alternative garden festival – brings together art, design, poetry, music, science and food with a horticultural focus for three weeks of events, across London, the UK and four international satellite fringe festivals.